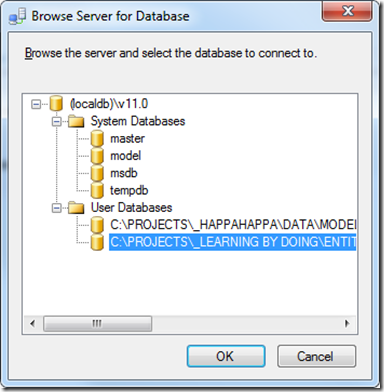 If you run the “Generate database from model” wizard and execute the generated script the destination database could be the wrong one (for instance master of the SQL Server). 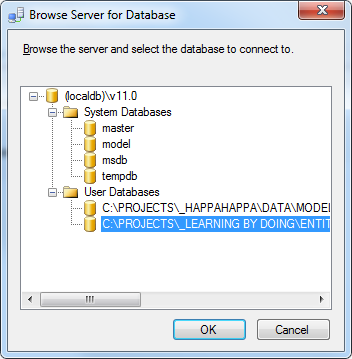 To use an own mdf attachable user database some connection information must specified during script execution. 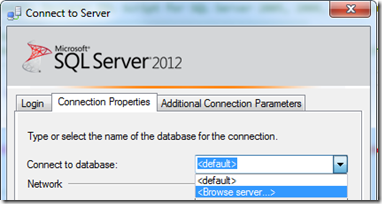 Execute your script opens the dialog “Connect to Server”. Press “Options” and go to the second tab “Connection Properties”. Confirm the information dialog with “Yes”. In the following dialog you could choose your user database. 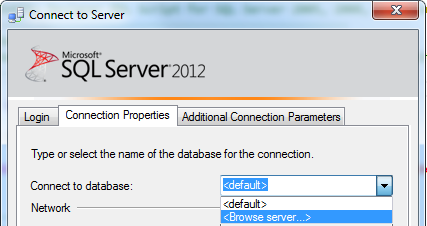 Now the schema is created in the user database. I'm working on my first SQL project and will use these tipps - thanks for the insight. 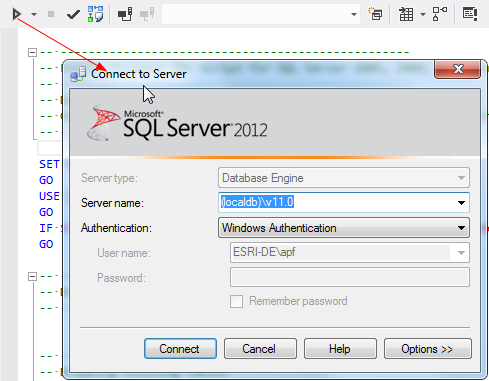 I downloaded SQL Server 2012 last week and finally got it running. Thanks for the detailed tips, they will be helpful.